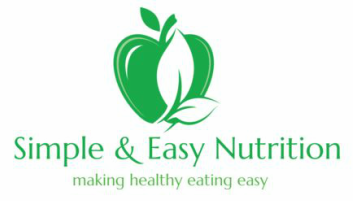 Simple and Easy Nutrition are experienced in providing individualised nutrition advice to suit your current requirements. Suraya Nikwan, director of Simple and Easy Nutrition, is highly experienced in areas of bariatric surgery, weight loss, the non-diet approach, renal and irritable bowel syndrome. Suraya conducts initial and review consultations from her primary site of Suite 29, Level 1 Greenslopes Specialist Centre – located in the Greenslopes Private Hospital. Preparing for your consult will greatly assist Suraya to help you towards your nutrition goals. Suraya may send you out some information to fill in and return on the day. If she hasn’t, you can download these below. ​Otherwise, please bring along any relevant medical conditions (eg. diabetes, hypertension, high cholesterol, surgery) and names of medications to assist in individualising your consult. Suraya also appreciates an honest, two-day food diary, to significantly assist you in your goals. At Simple and Easy Nutrition, we are not the food police. An honest food diary will allow you to learn more from the consult. Simple and Easy Nutrition conduct comprehensive nutrition consults. Initial consultations may take up to an hour and review consultations take half an hour. This time is needed to ensure that a snapshot of your current lifestyle, diet and exercise habits is obtained. This information will help formulate goals, shape individualised nutrition advice and plans so you can achieve your personal health and nutrition goals. Suraya is a DVA Provider. You may be eligible for Medicare or Private Health Rebates, please see here for more information. You do not need a referral to see a dietitian. For General Practitioners: Please ensure "Suraya Nikwan, Suite 29, Level 1, Greenslopes Specialist Centre, Greenslopes Private Hospital" is written on any TCP/EPC form. Use the below referral forms to refer your patient to Suraya. For more information or to book your consult, Contact Us Today!